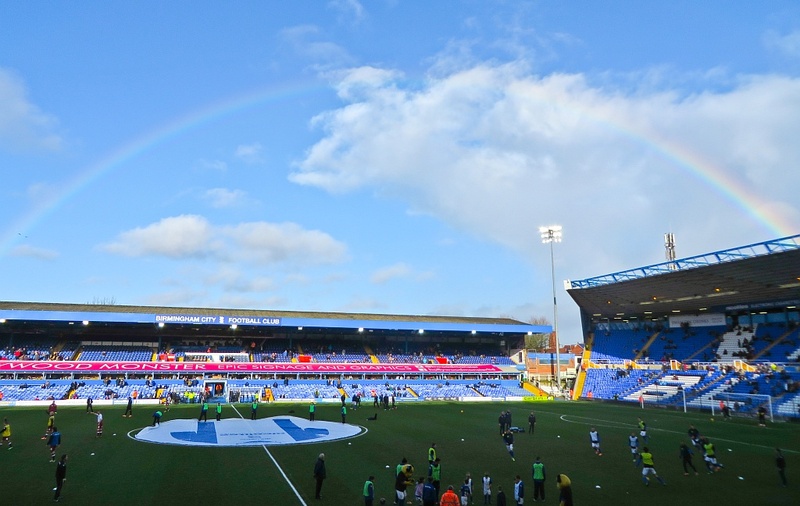 However, I was also reminded of the rainbow I saw above the Main Stand on October 24th 2009. That was the day that our new owner paraded round the pitch before the game and Blues won 2-1, the start of our unbeaten run in the Premier League. It all started so well, didn’t it? Who would have guessed that it would end so badly? The carnival atmosphere that welcomed Carson Yeung has been replaced by disillusionment and anger, protest banners and anti Carson chants. Five players made their Blues debut on Saturday so it was not surprising that the defence wasn’t solid and conceded 3 goals. But there were plenty of positives: the home crowd united to support the team, Randolph saved a penalty, the team played with a lot of spirit and some skill. Macheda scored a last minute equaliser on his debut, less than five hours after he’d met his team mates for the first time. For me and many other Blues fans it was a good day but let’s not forget the player who had a nightmare debut at St Andrew’s. It must have been devastating for Tom Thorpe to be injured and carried off after such a short time on the pitch. I wish him all the best and hope he will make a good recovery from his ankle injury.